Date: 8 am Thursday, May 2, 2019. Date: 6-8 pm am Friday, May 17, 2019. This is the training being held closest to Huntingdon County in 2019. A full list of 2019 ESM training dates is available here. 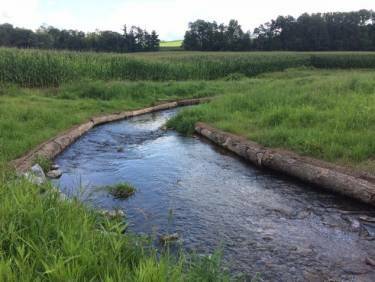 Project Description: Warrior’s Mark Run is an impaired stream in Huntingdon County due to grazing related agriculture. It is also classified as a High-Quality Cold Water Fishery. 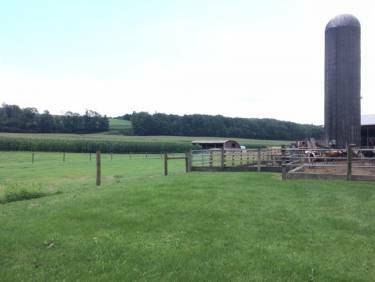 For this project, two farms were identified where cattle had unrestricted access to Warrior’s Mark Run and where the streambanks were eroding. 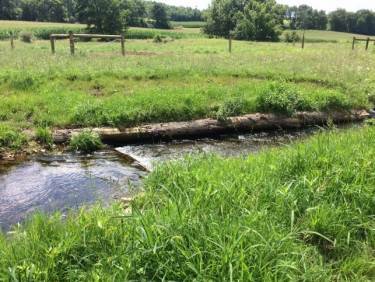 This project fits within the larger goal of restoring this stream. Goals: to reduce nutrient and nutrient inputs into Warrior’s Mark Run by eliminating unrestricted cattle access to the stream on two farms and to improve streambanks on one farm by building restoration structures. 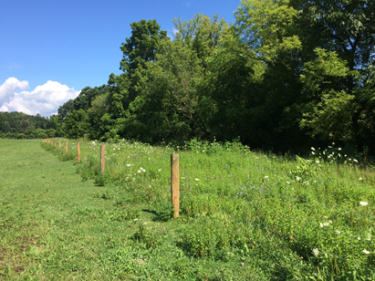 Results: 5423 feet of streambank fence was installed in two pastures, 5 stabilized crossings were installed to provide water access for cattle, and streambank restoration structures were installed (2 log cross vanes, 1 rock cross vane, 286 feet of toe wood, and 978 feet of mudsill). Costs: $54,635 in Growing Greener funds, with an additional $56,743.96 in documented in-kind from project sponsor and partners.